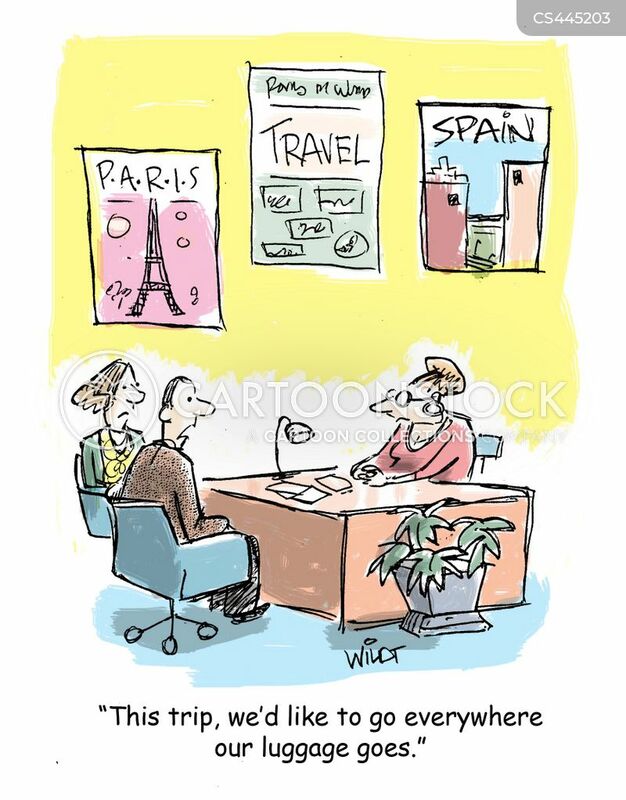 "With our lives it's all abut the journey. 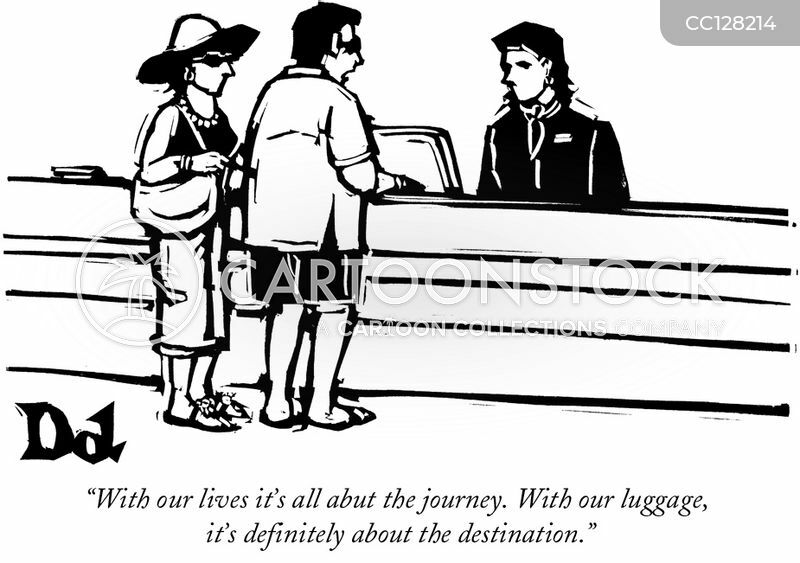 With our luggage, it's definitely about the destination." 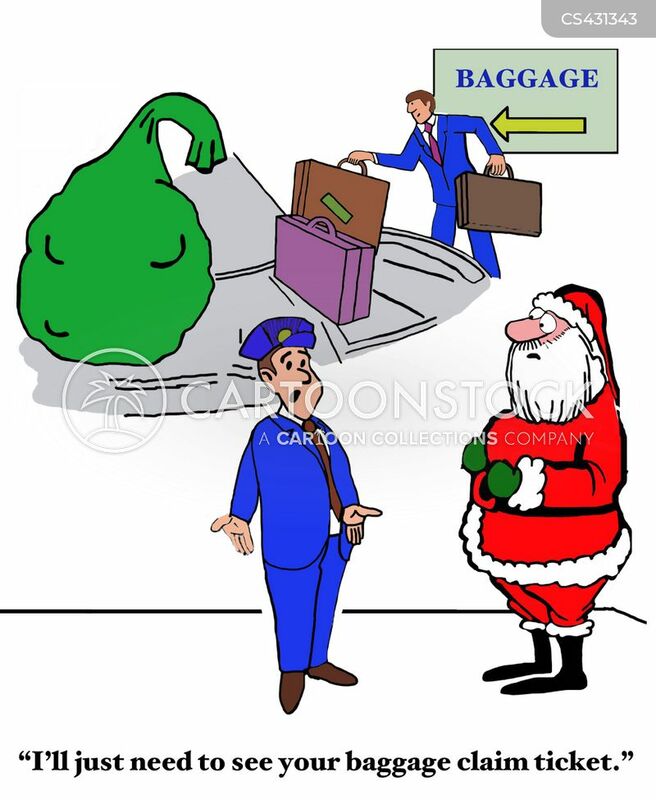 Santa Claus waiting at an airport's baggage claim for his sack of presents. 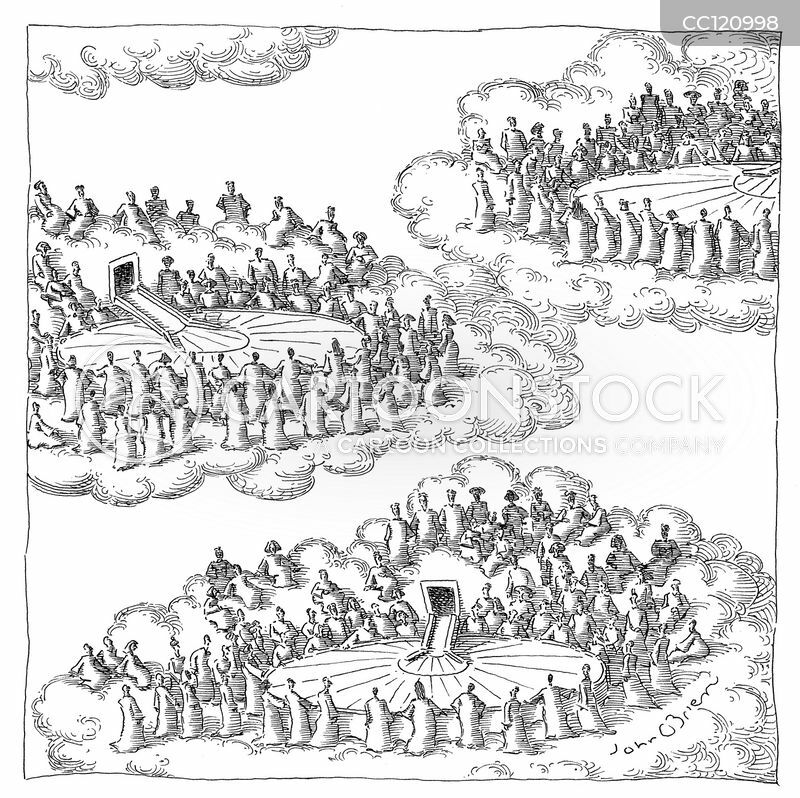 Angels await for their baggage around carousels. 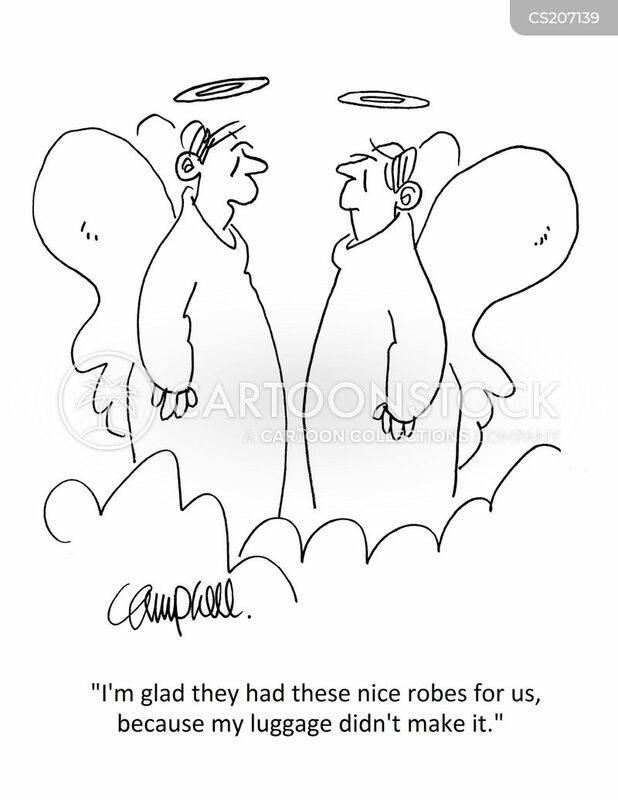 "I'm glad they had these nice robes for us, because my luggage didn't make it." 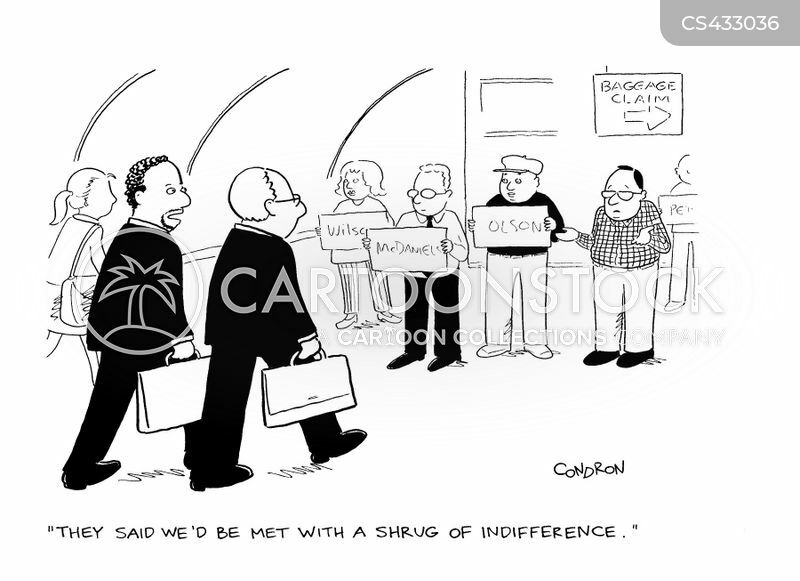 "They said we'd be met with a shrug of indifference." 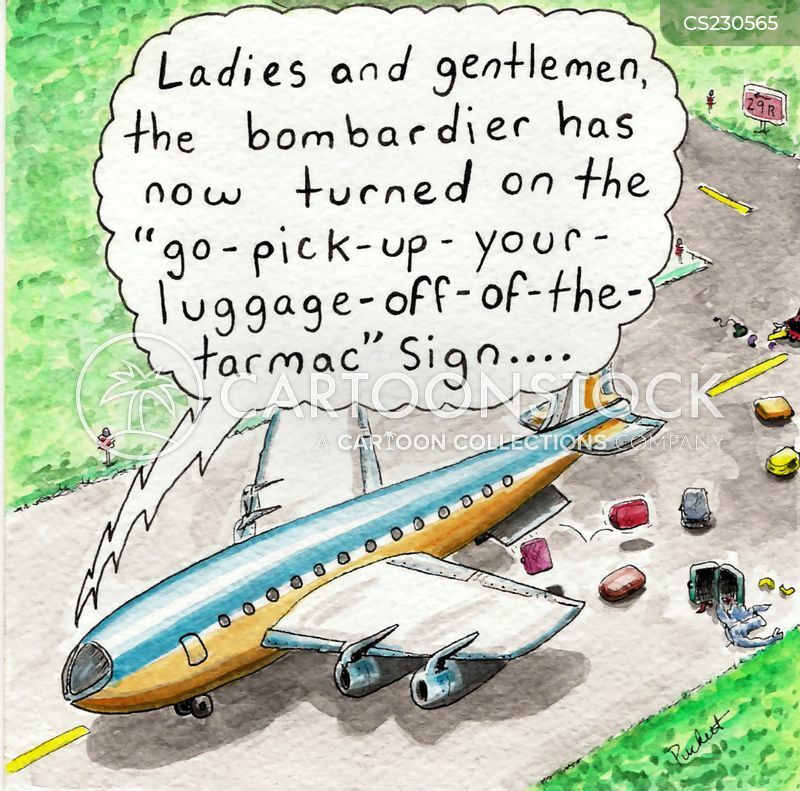 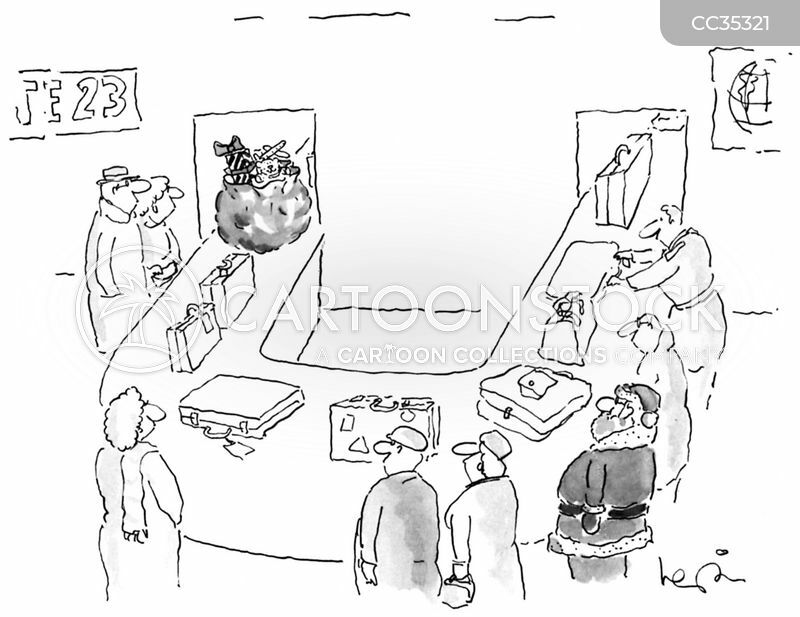 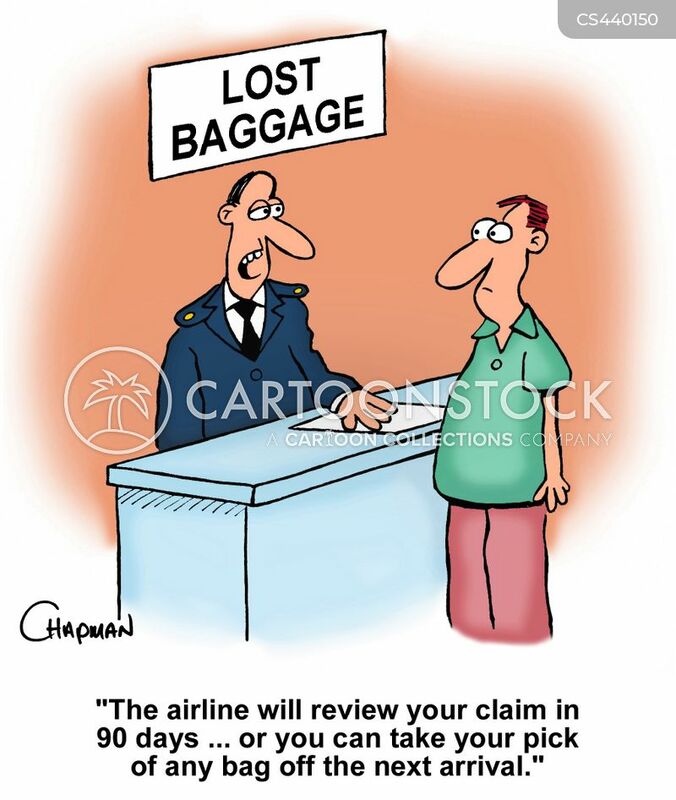 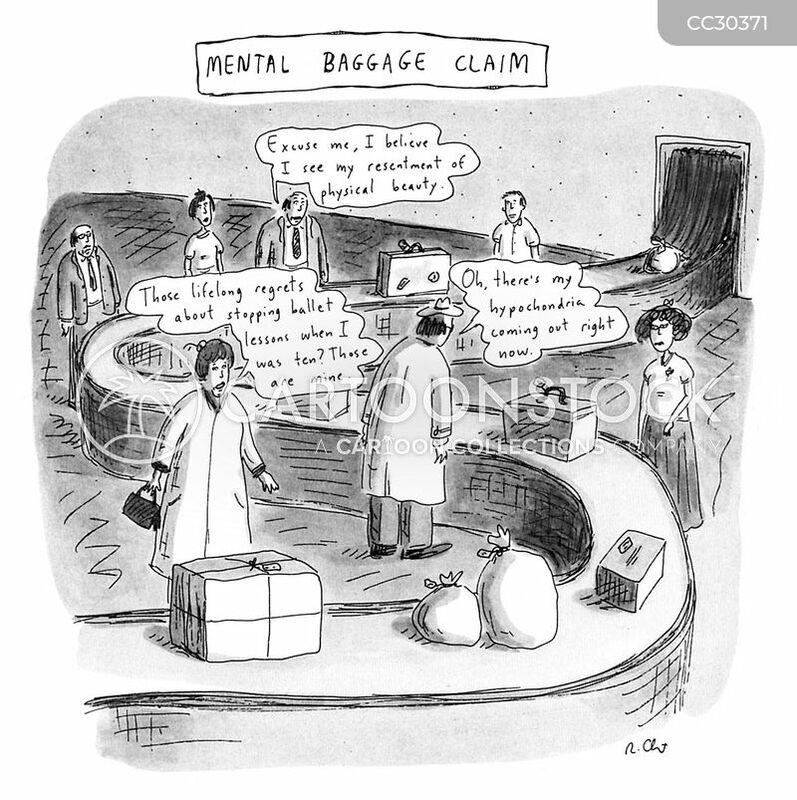 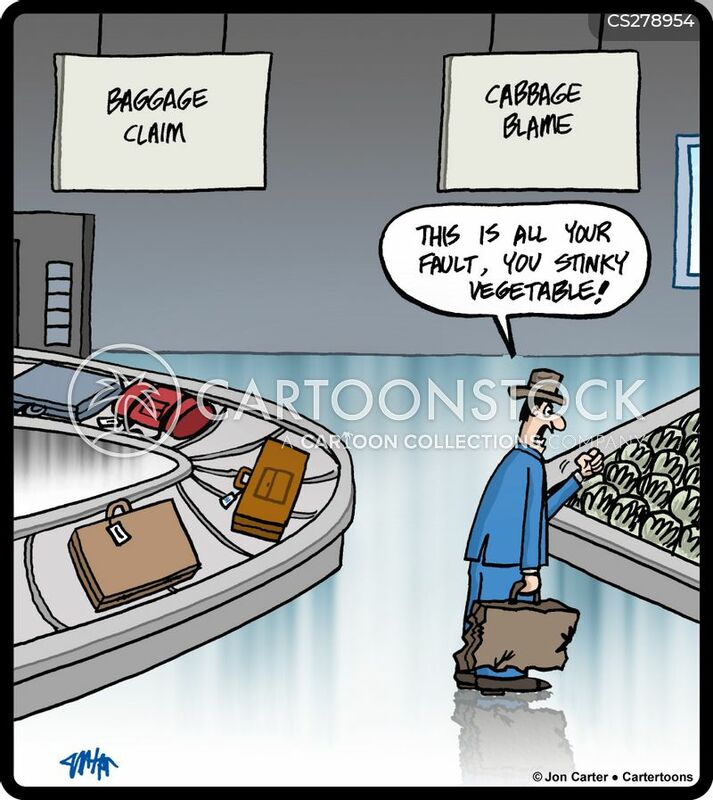 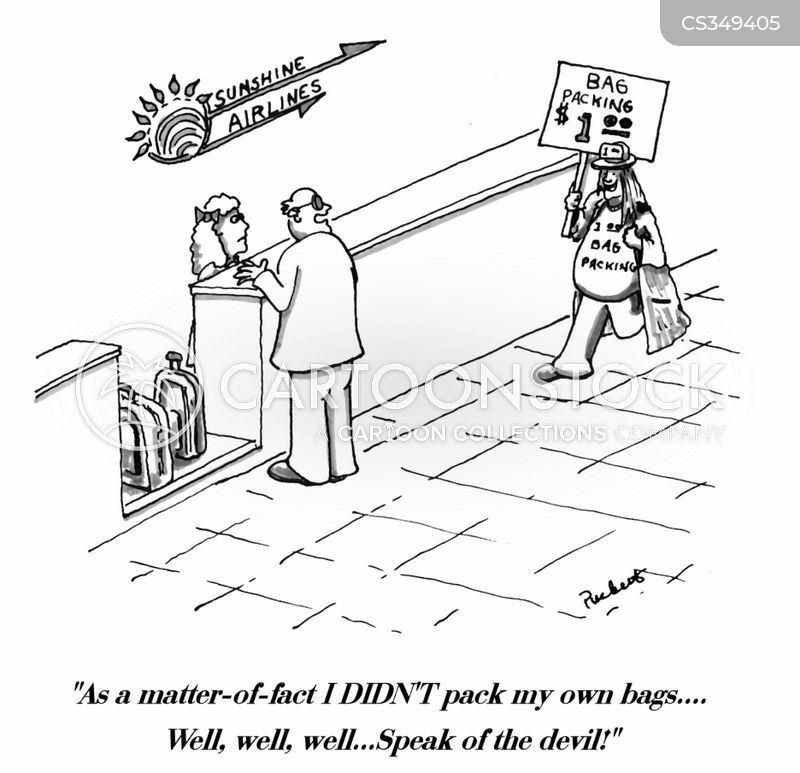 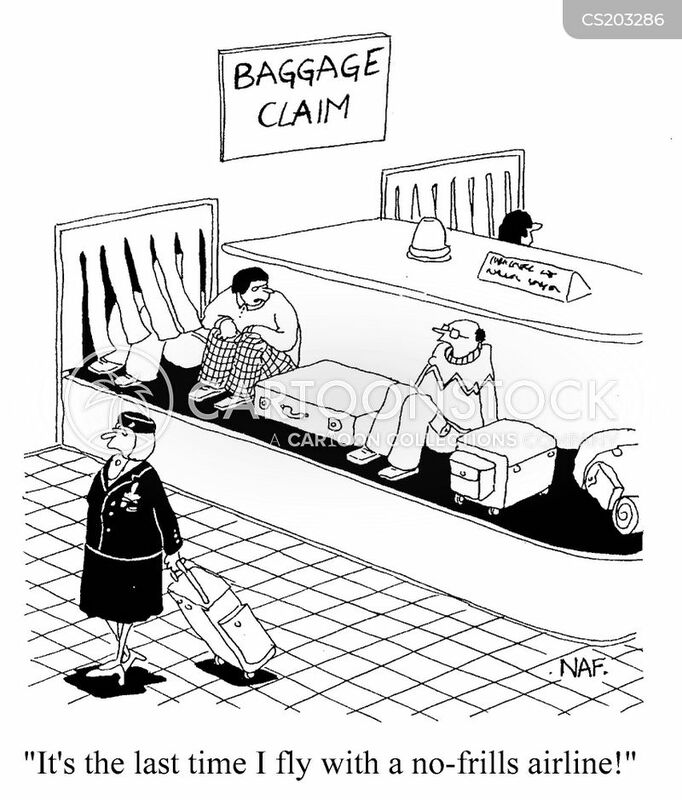 "The airline will review your claim in 90 days ... or you can take your pick of any bag off the next arrival." 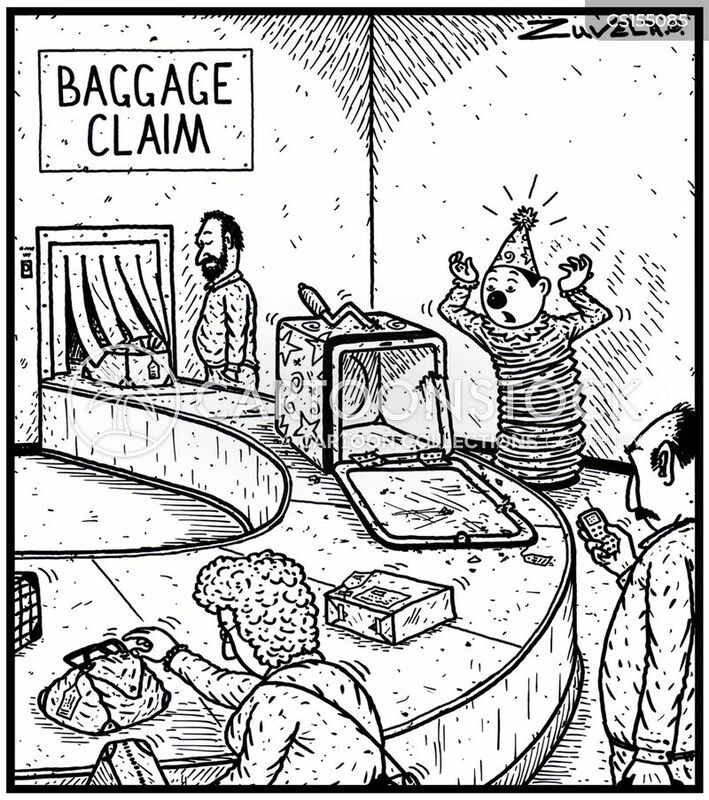 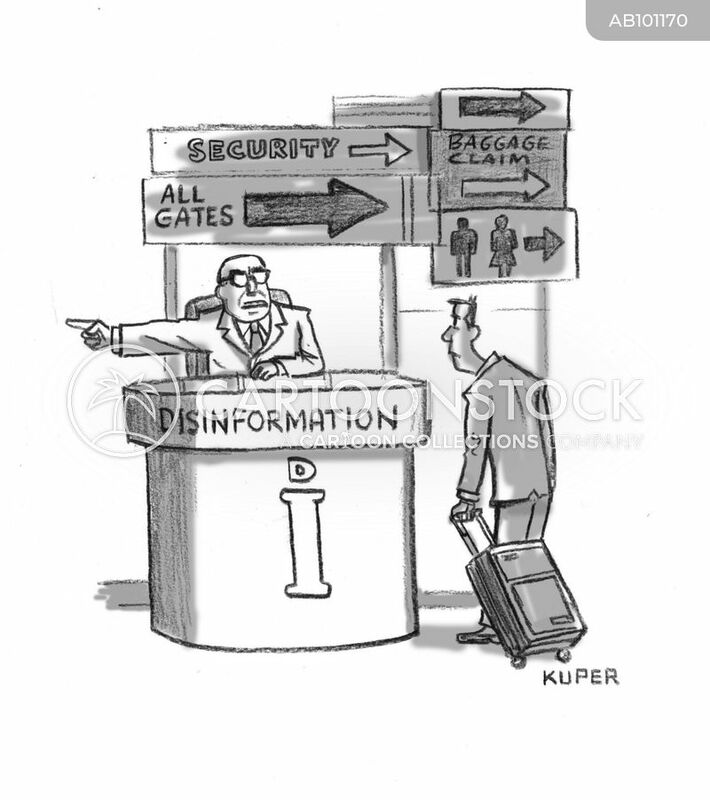 "I'll just need to see your baggage claim ticket." 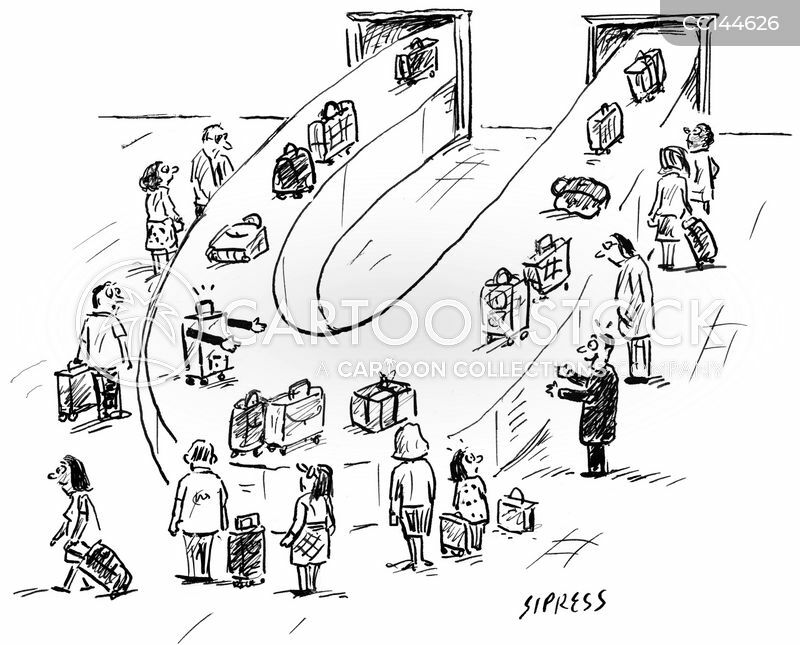 "This trip, we'd like to go everywhere our luggage goes." 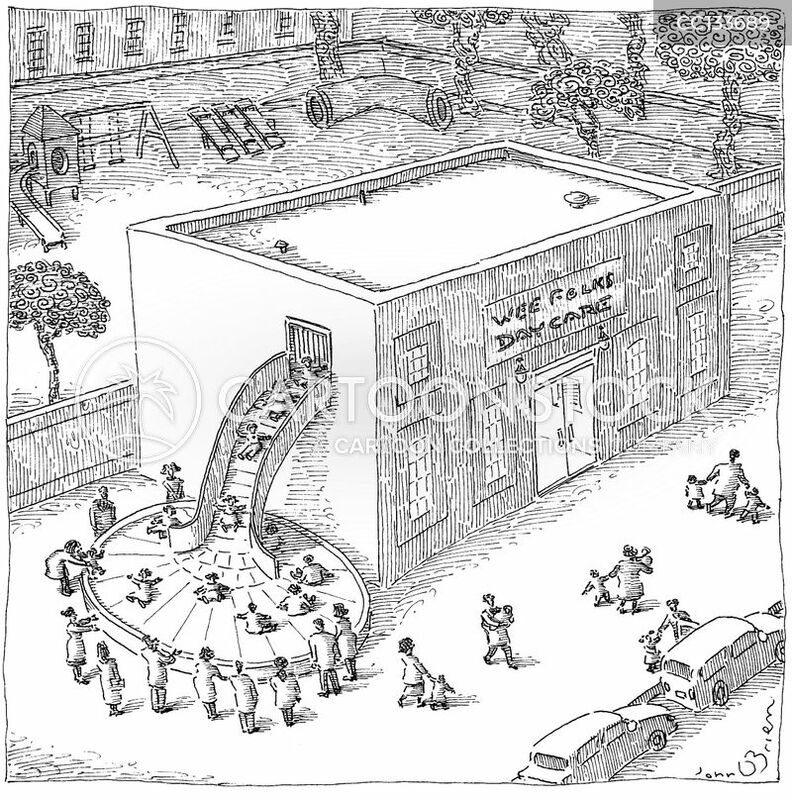 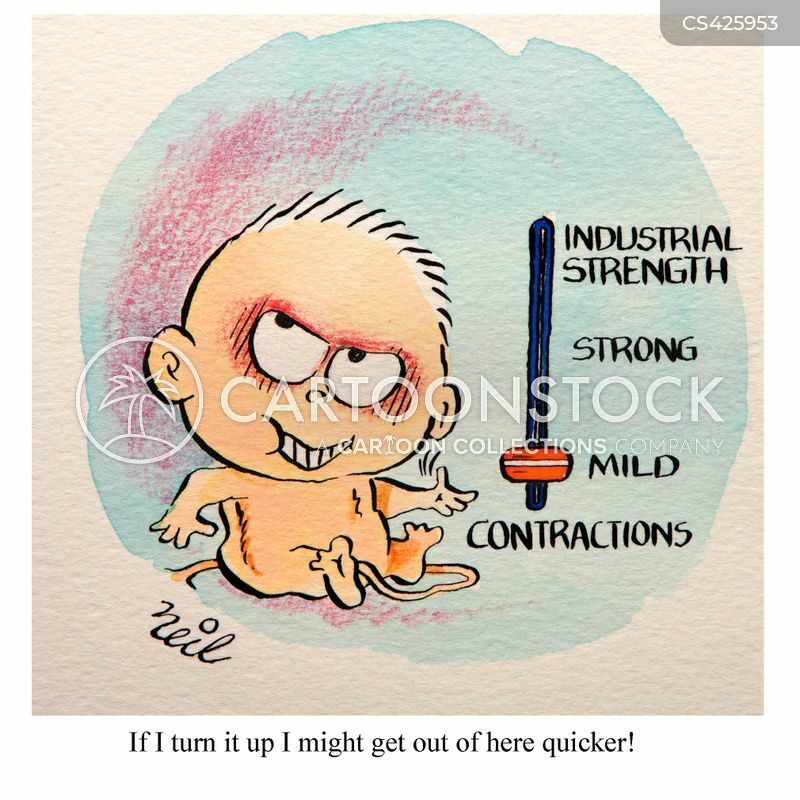 "If I turn it up I might get out of here quicker!" 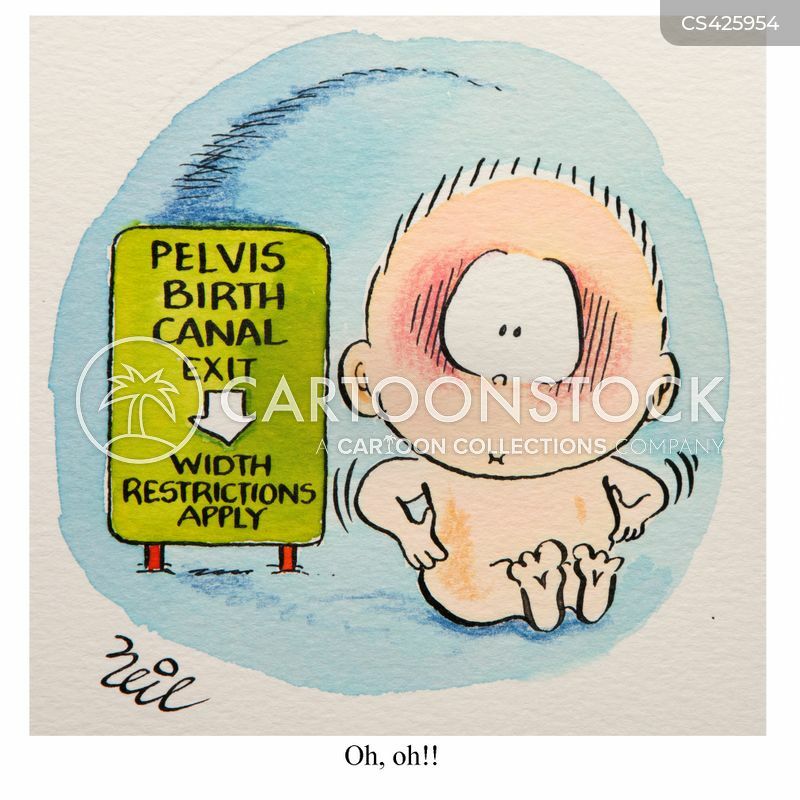 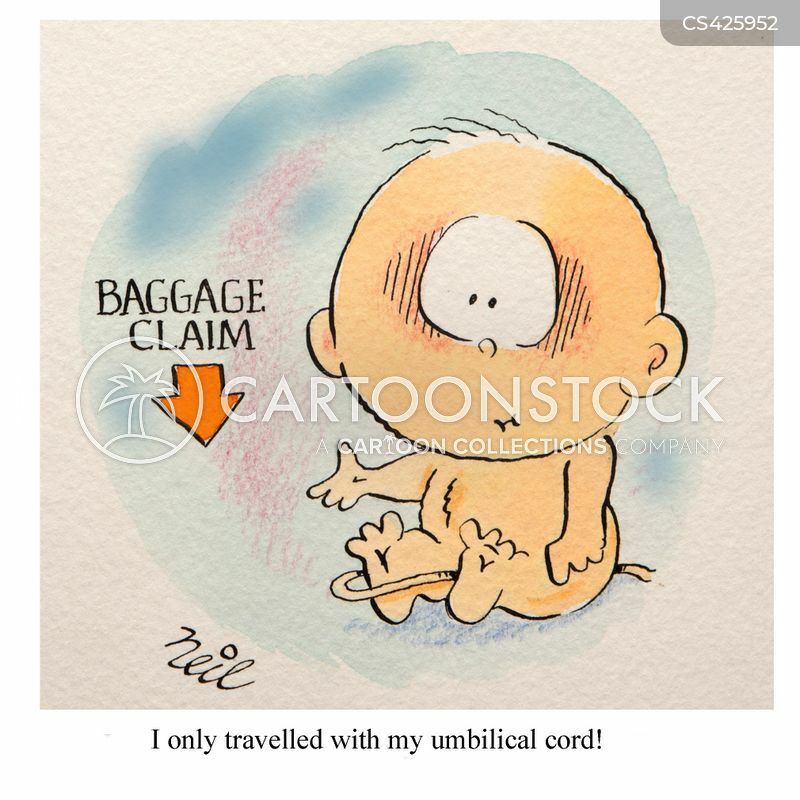 "I only travelled with my umbilical cord!" 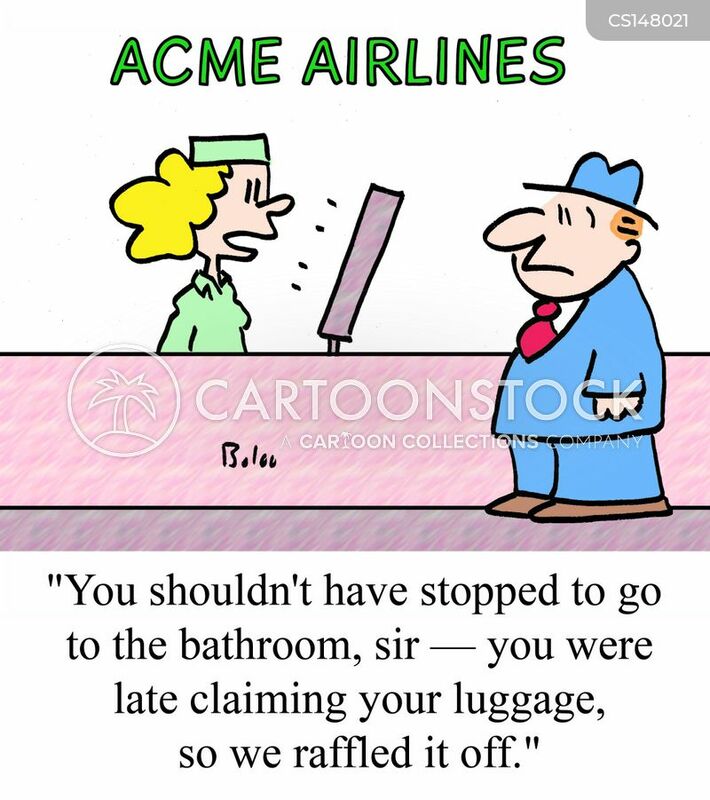 "You shouldn't have stopped to go to the bathroom, sir - you were late claiming your luggage, so we raffled it off." 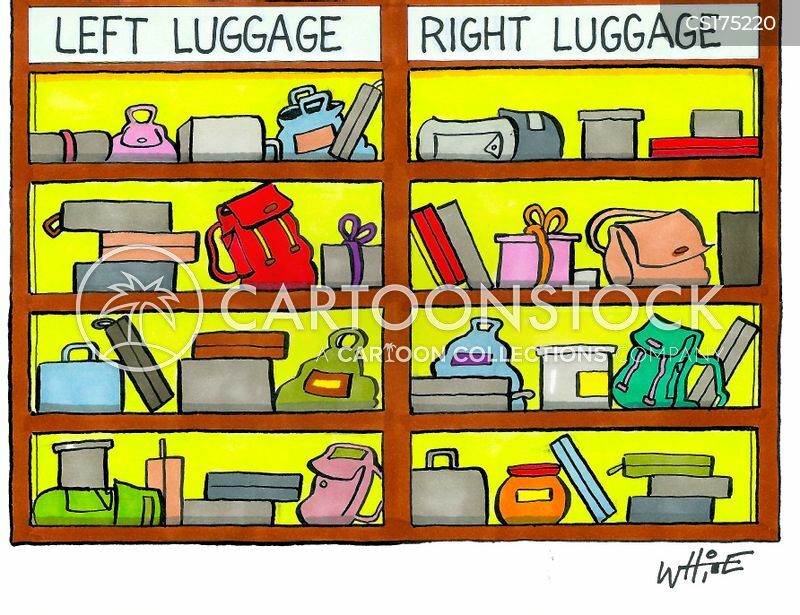 Luggage Collection: A Jack-in-the-box's damaged Box. 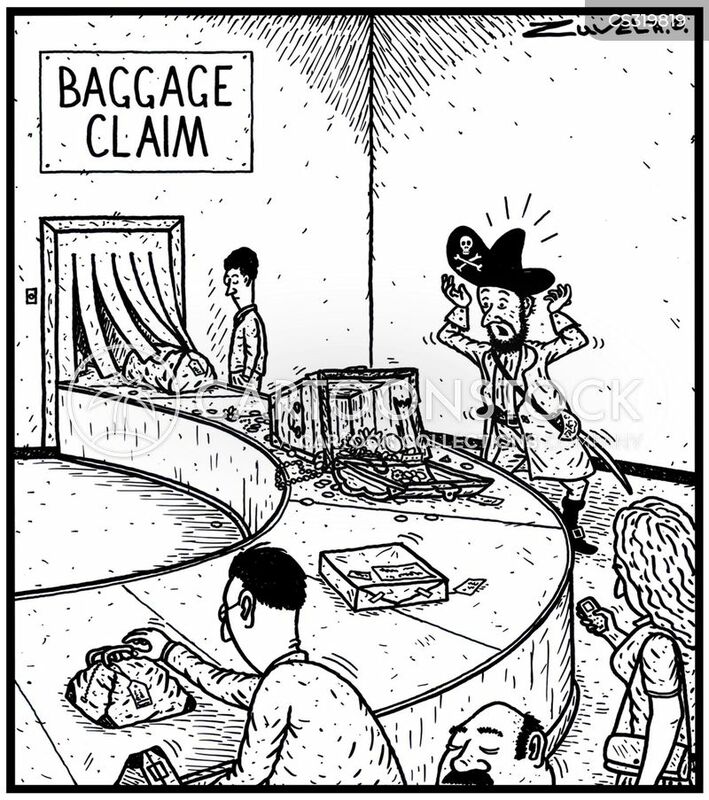 Luggage Collection: A pirate's damaged treasure chest. 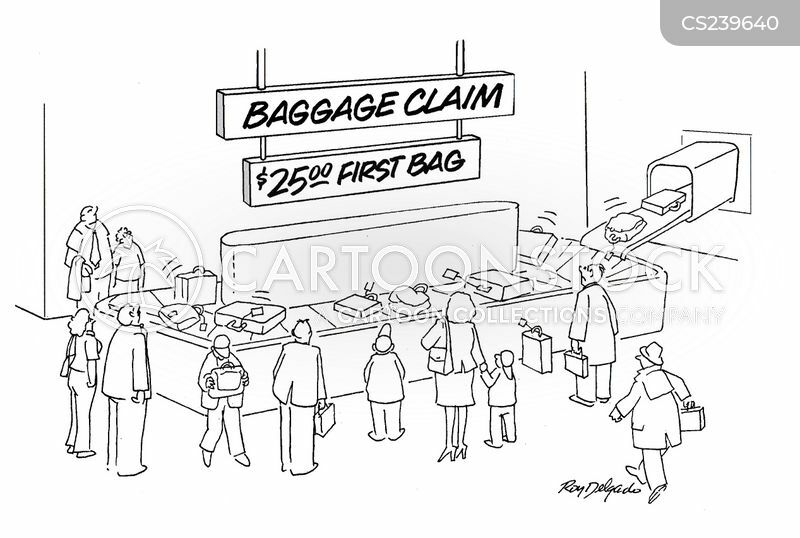 Baggage Claim $25 First Bag.